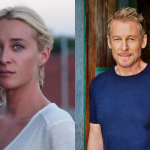 Richard Roxburgh, Emma Booth, Miriam Margolyes, Joel Jackson, Deborah Mailman and newcomers Daisy Axon and Wesley Patten are starring in H is for Happiness, a family drama/comedy which marks the feature debut of theatre director John Sheedy. Perth-based Axon, who made her debut in Mirrah Foulkes’ Judy and Punch, plays Candice Phee, a 12-year-old with boundless optimism and a unique view of the world, who is determined to bring her dysfunctional family back from the brink. 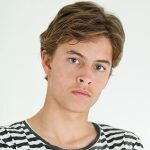 Patten, who won the best young actor award at this year’s St Kilda Film Festival for his performance in Sheedy’s short film Mrs McCutcheon, plays Douglas Benson, a character from another dimension. Roxburgh and Booth are cast as Candice’s parents with Jackson as her rich uncle Brian and Margolyes as Miss Bamford. Sheedy said: “During the casting process we saw an extraordinary range of talent from all across Australia and New Zealand and I’m very excited to introduce the very talented Daisy Axon, who is the perfect choice as our lead protagonist. The key crew includes DOP Bonnie Elliott (Palm Beach, Romper Stomper), production designer Nicki Gardiner (Hotel Mumbai, Lion), costume designer Terri Lamera (Breath), hair and make-up artist Karen Sims (Three Summers, Paper Planes) and casting director Jane Norris (Paper Planes, Nowhere Boys). Abi Tabone is the associate producer and the EPs are Jonathan Page, Bryce Menzies and Avrill Stark. Screen Australia provided the major production investment. The co-investors are the Western Australia Regional Film Fund, Screenwest, the Melbourne International Film Festival Premiere Fund, Film Victoria, Soundfirm and Fulcrum Media Finance. The world sales agent is Tine Klint’s LevelK.